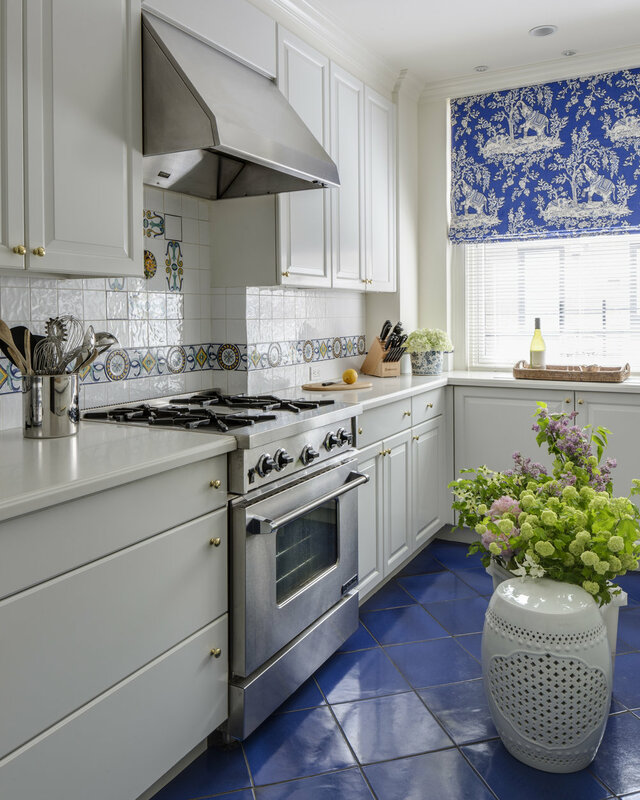 This Park Avenue pied-a-terre is located in Manhattan’s Upper East Side neighborhood. 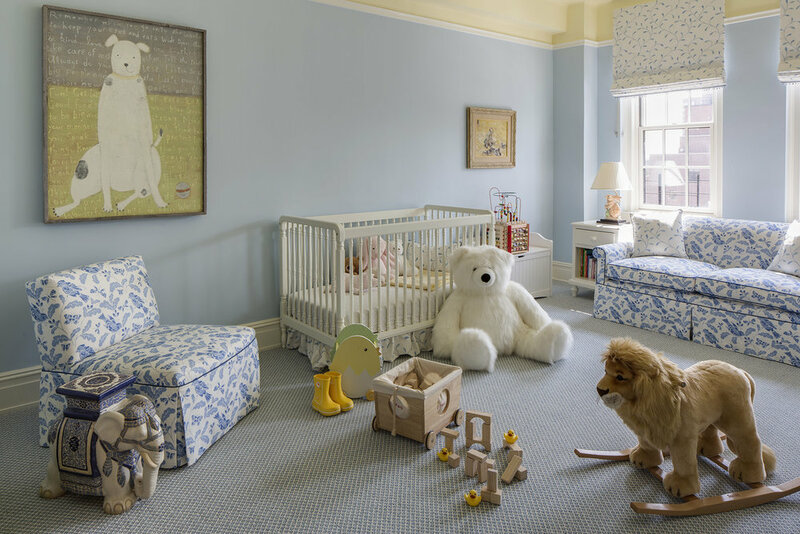 A mix of bright colors, sophisticated patterns, and antiques create a vibrant atmosphere that the young family had requested. 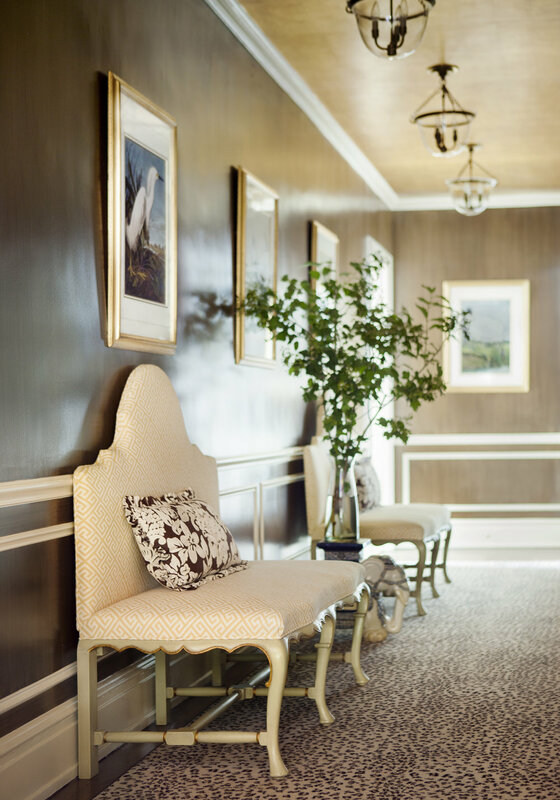 Adding molding and a glossy chocolate finish to walls, gold tealeaf paper on the ceiling, and decorative benches and runner created a spirited statement along the main hallway. Hand blocked linen window treatments together with velvets and silk patterns create a refined and elegant formal Living Room. Transforming the traditional Dining Room into a multifunctional Family Room and dining area provided necessary additional space for the family’s needs.